In Orthodox Christianity there are many holidays and memorial days. Especially revered by the dates of important events in biblical history, the memory of the Mother of God, angels or saints. In addition, each Orthodox Church has its own separate feast day. In the Orthodox Church feast celebration is called the celebration of the event, or person, in whose honour consecrated the main altar of the temple. Hence the name of the holiday. 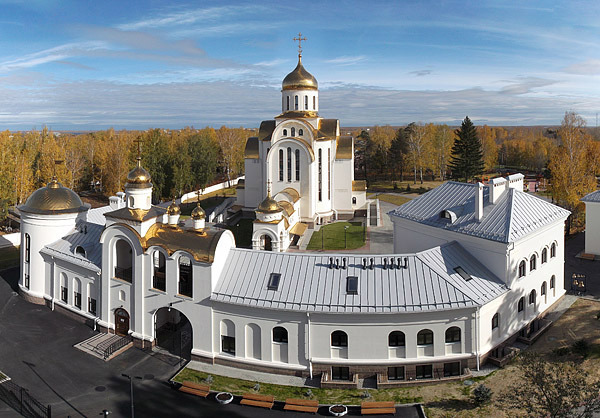 Every Orthodox Church is consecrated in honor of some event or in memory of a Saint. For example, in Russia a lot of Assumption churches. That is, the main altar was consecrated in honor of the feast of the assumption of the blessed virgin Mary, so in this temple the feast day falls on 28 August, new style. There are temples Christmas, Transfiguration, in honour of the Nativity of the Mother of God or her presentation in the temple. Also practiced to sanctify the altars in the temples in honor of the phenomena of the miraculous icons of the Mother of God. For example, if the Kazan temple, the patronal feast falls on the icon of the blessed virgin Mary Kazanskaya - 21st July and 4th November (new style). Particularly revered in Russia, the Archangel Michael, and St. Nicholas the Wonderworker. The patronal feast days in the temples consecrated in their honour falls on the 21st November and 19th December, respectively. Worship in the temple on the feast day of different special solemnity and grandeur. Often in those days, invited priests from nearby towns Cathedral for the service. Statutory tradition attributes on the feast day to make processions around the Church with the reading of Scripture and sprinkling the faithful with Holy water. There is a practice of consecration of water on a temple holiday. Some parishes encouraging believers, organization of festive concerts on the feast day.